Still feels awkward in front of cameras. He tries to act cute and pretend not to be nervous in front of cameras, but we can see it through his eyes. He still feels shy to talk in front of National Producers. Fans are shocked when they first see this video until the point they question whether the guy in this video is really Bae Jinyoung or not. You can see that he's starting to smile more and act cuter in front of camera. He can't hide his excitement for receiving the prize. He has become a pro-idol now. Even non-fans are so surprised to see this video. They can't believe that he suddenly make the doll kiss his cheek, he also thanks the fans for the gift and says he will keep them well and then puts the doll on his head. His cheek feels itchy out of all sudden and he scratches it and it becomes a legendary gif now. Comparing to how he used to act in front of cameras before, he's starting to look like a real idol now. And then he shakes his whole body. Suddenly, my whole life flashes before my eyes. Did he learn how to record a good Ma Boy video somewhere? He's really good at it now. He looks like a different person. -Jinyoung has already become an idol now.. Let's debut..
-He has been an idol since the moment he was born..
-Jinyoung-ah, you have to debut. Your debut is more important than my concert. 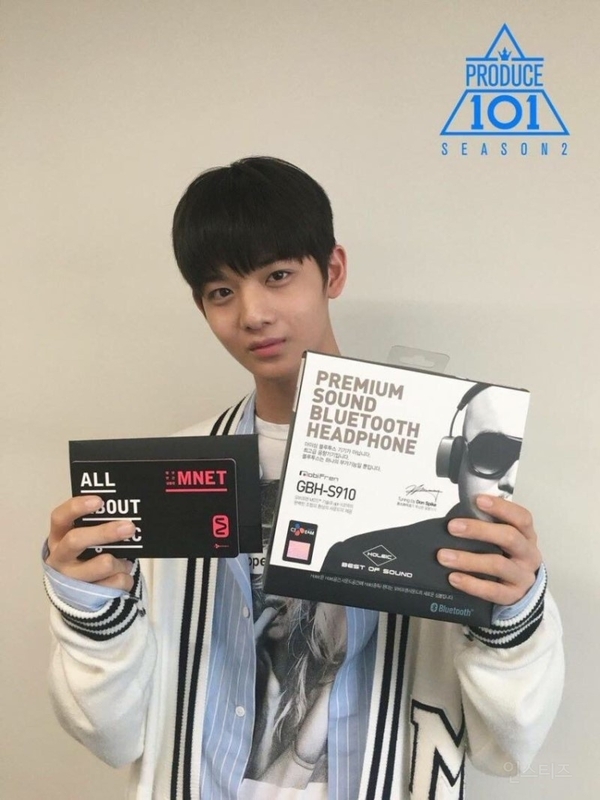 I have to perform in a concert next week but your debut is more important to me..
-Bae Jinyoung is a pro-idol..
-18 years old.. Why are idols these days so young..? It's really hard to believe that I'm getting older..
-I don't understand why his rank keeps on dropping..
-He's getting brighter and more cheerful now..